CHESTER E. STETSON WEATHERSFIELD TOWNSHIP - Chester E. Stetson, 85, passed away on Wednesday, Feb. 24, 2016, at University Portage Medical Center in Ravenna. Chester was born July 20, 1930, in Youngstown, the son of Leone L. and Myrtle Waggner Stetson. Chester had worked for E.P.I. in Akron as a maintenance man. 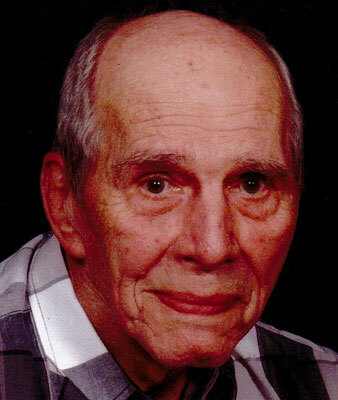 He was a member of the Trinity Lutheran Church in Niles and enjoyed making wind chimes. He is survived by his children, Suzanne Delaney of Girard, Belinda (Richard) Jacobson of Austintown, Anthony (Mary Ann) Stetson Sr. of Ravenna and Patricia (David) Wright of Girard; nine grandchildren; seven great-grandchildren; and one great-great-grandson, Brentley. He was preceded in death by his wife, Agnes I., whom he married Oct. 28, 1951, and who died Aug. 8, 2014; his sisters, Grace Krause, Louise DelBene, Helen Richards and Margaret Stetson; his brother, Robert Stetson; and a great-great-grandson. Funeral services will be held on Friday, Feb. 26, 1 p.m., at the Blackstone Funeral Home in Girard. The family will receive relatives and friends on Friday from 11 a.m. until the time of service. Chester will be laid to rest at Greenhaven Cemetery. Visit www.blackstonefuneralhome.com to view this obituary and to send any condolences to the family.